Caroline Berube, Managing Partner of HJM Asia Law, is teaching a 10 hour “Legal Environment for Doing Business in Asia” class at the Sorbonne ASSAS Law School, Asia Campus for Executive. Caroline has over 20 years of experience working in China and is well versed in ways of doing business China. She is covering topics such as the new legal framework in China, contracts, corporate structures, employment law and IP in China. One Belt, One Road: What is happening – Inter-Pacific Bar Association (“IPBA”) Regional Conference, London, November 13th, 2017. 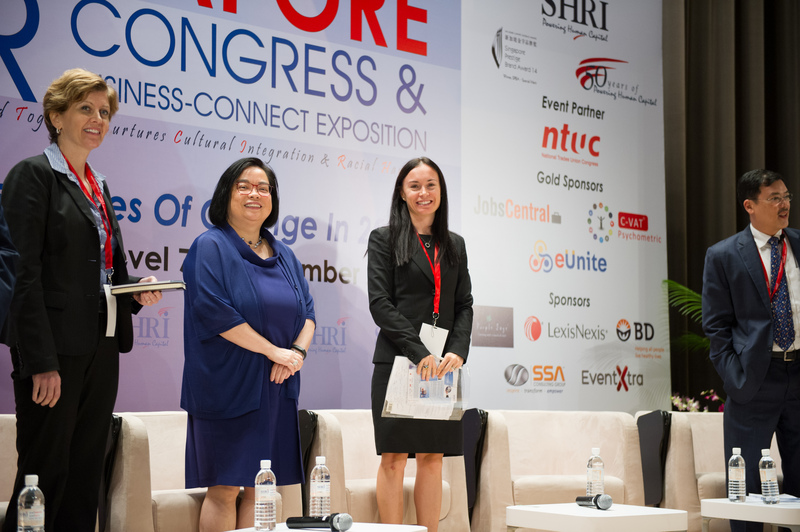 Michelle Ye, the compliance associate of HJM Asia Law, attended the “Singapore-China Trade & Investment Forum” organized by the Singapore Business Federation and China Council for the Promotion of International Trade (CCPIT) in Singapore. 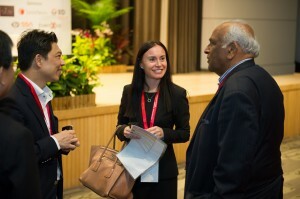 Spearheaded by the Singapore Business Federation (SBF), the Belt and Road Initiative (“BRI”) Connect Platform consisted of a series of business matching and networking events. Michelle represented HJM amongst approximately 80 top business leaders from various industries across China, including logistics & transportation, finance, ICT, hospitality and tourism. 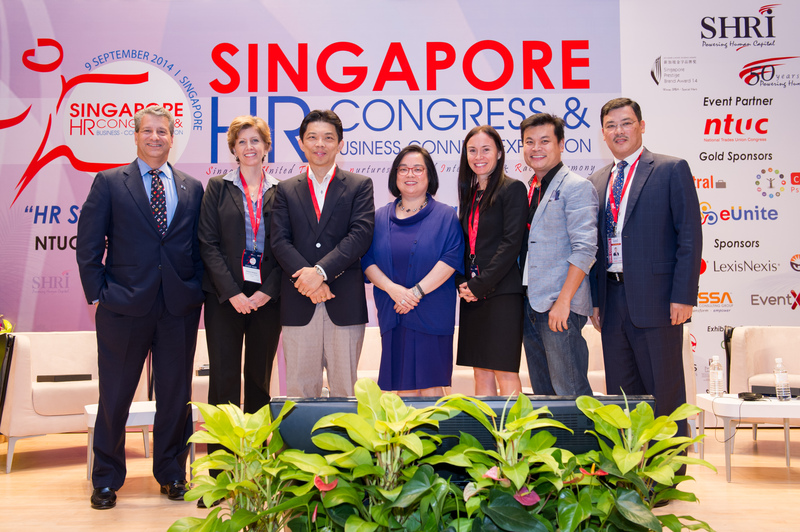 HJM Asia Law, as a member of IBLC and its alliance with IECnet since 2015, was represented by Francisco Colomer Baldo from HJM Asia Law Singapore office. Francisco attended the IECnet Annual General Meeting in Singapore. It was a great opportunity to meet other international lawyers, accountants and tax advisors. Michelle Ye, the compliance associate of HJM Asia Law China office, attended the “China 13th Five Year Plan & Foreign Investment Environment Roundtable” organized by Global Intelligence Communications in Beijing, China. The roundtable talked about the latest legislative and policy development of 13th Five Year Plan, investment models and approached in the new foreign investment landscape in China. The International Bar Association held its 3rd Annual “Investing in Africa” Conference in Paris, France on June 22nd to 23rd, 2017. Convinced that the next big wave is Asia in Africa, HJM managing partner, Caroline Berube, spoke at the session : “Opportunities and Challenges for Investors and how advisors can assist” sharing her experience about Chinese, Singaporean and other Asian investors doing business in Africa. The panel was composed of investors and advisors offering insight on best advices for corporate clients seeking opportunities on the African continent emphasizing also on the diversity of the continent on which Caroline agreed given her knowledge of the Asia Pacific region and its diverse cultural and economic diversity similar to Africa. Panellists were very diversified, knowledgeable on the topic as well as international coming from China, the USA, South Africa, Switzerland and Belgium. 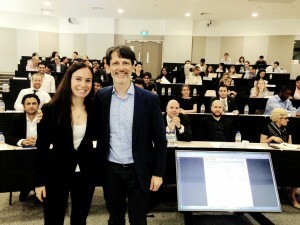 On the occasion of McGill University, Desautels Faculty of Management, MBA International Study Trip 2017 to Singapore, Caroline Berube was a speaker on the topic “The Ins and Outs of Doing Business in Singapore and South-East Asia – a Legal Insider’s Perspective”, which session took place on April 23rd, 2017. Caroline also attended the networking reception organized by the High Commission of Canada to Singapore, to meet with MBA students, on April 26th, 2017. As President of the McGill alumni, it is always with great pleasure that Caroline participates in events involving McGill students. Caroline Berube, the managing partner of HJM Asia Law, attended the IPBA Annual Meeting which took place in Auckland in April 2017. On that occasion, it is with great excitement that Caroline Berube was appointed Secretary-General from 2017 to 2019. Caroline was also a speaker at the Cross-Border Investment Committee (CIBC) session on “Drafting cross-border contracts”. You can view more information on the conference here: http://www.ipba2017.com/. As one of ISMA’s Board Members, Caroline Berube attended ISMA launch successfully held and organised by Scott Moran from Duncan Cotteril in Wellington, New Zealand. ISMA is a not-for-profit membership organisation whose goal is to identify and resolve the global legal issues arising out of social media. ISMA is dedicated to harmonising legislation and policies on an international scale to advance, protect and balance the rights of businesses and individuals. More launches to be announced soon in other countries! Caroline Berube had the privilege to teach a wonderful class for 10.5 hours during the 2017 Winter Short Program at the Sorbonne Assas International Law School, Singapore Campus. The class had three very interactive sessions with Master students, Private Practitioners and General Counsels on “Doing Business in China” covering the Chinese legal system, IP laws, labour laws, corporate law and commercial contracts in China while providing concrete insights with case studies and the approach of the Chinese market by overseas investors. Details of the program can be viewed here. As co-chair of the Asia Pacific Forum of the International Bar Association, Caroline attended our 5th Asia conference titled “Resilient Asia – Fighting Global Headwinds” held in Mumbai. We had a few hundred of attendees from more than 30 countries. Our Indian officers from the APF did a great job at organising it! The full programme of the event can be viewed here. Teaching “Intellectual Property in Asia” to the class of Sorbonne-ASSAS International Law School, LL.M. International Business Law 2016-2017 in December 2016 was again a great experience for our Managing Partner, Caroline Berube. 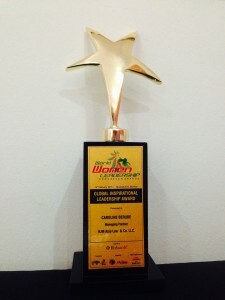 She is a Canadian New York/Singapore attorney who has been based in Asia and handling corporate/ commercial law with technology companies from all over the world dealing with their IP matters in the Asia Pacific region for more than 18 years. She has built up a well-respected level of expertise and is especially well-regarded for her practical advice on technology transfer, IP special vehicles and IP matters in Asian countries. Primerus, society of world’s top independent boutique law firms, held its Global Conference 2016 in Washington D.C.. Caroline Berube, the Managing Partner of HJM Asia Law, was a panellist at a session titled “Commercial Leasing – Cross Border Pitfalls to Avoid”. Caroline covered risks arising when negotiating a commercial lease when setting up a factory or warehouse in various countries in Asia. The conference programme can be viewed here . As Co- Chair of Asia Pacific Regional Forum of the International Bar Association, Caroline Berube, the Managing Partner of HJM Asia Law moderated a session on “Talent management: best practices for keeping your people happy” at Law Firm Management Conference held in Tokyo. The session focussed on retaining the best talents and creating a better place to work in boutique and international law firm in India, Hong Kong, Japan and China. 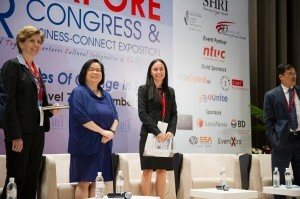 There were speakers from renowned law firms from all over Asia. For more information about the event, click here. 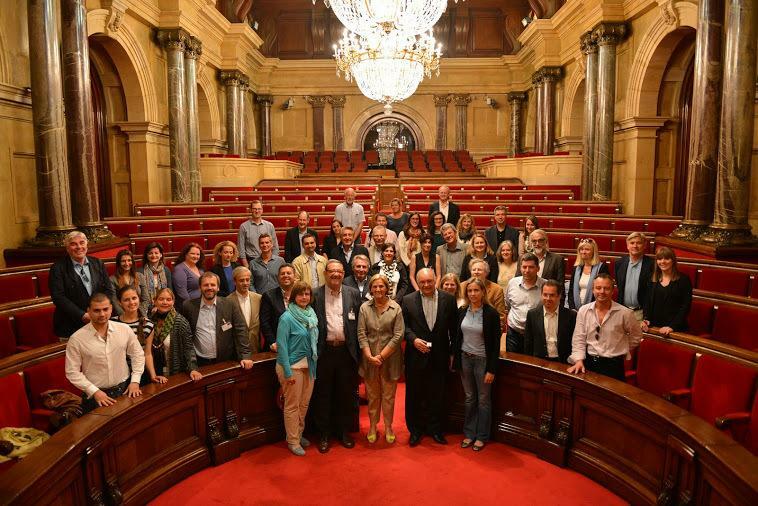 Caroline Berube, the Managing Partner of HJM Asia Law as the Chairperson of the Corporate Group of Interlegal, was a speaker at the Interlegal General Assembly Meeting held in Barcelona. The session focussed on 10 key points in a M&A Technology Transaction in China. Interlegal with its significant presence caters to full range of corporate services, completed by knowledge of business, customs and local culture within each country and held its annual meeting with EURA Audit, a group of accounting firms from all over the world. More information on the event can be viewed here. The conference was jointly presented by the IBA Corporate and M&A Law Committee and the IBA Technology Law committee. Caroline Berube, given her experience in IP, her position as Officer of the Intellectual Property Committee and her corporate law experience, spoke at a session titled “Due Diligence in Technology transactions, with a focus on privacy and big data issues”. The session focused on end to end execution of IP transactions and challenges in cross-border asset transactions. The full programme of the event can be viewed here. Every year the Desautels Faculty of Management- McGill University organizes a 10-day international study trip which aims to provide MBA students with a comprehensive understanding of business and its practice in a specific non-North American context. For the second year in a row, this trip has taken place to Singapore. It is designed to be a mid-program capstone course that builds on the other 3 pillars of our MBA Program: Core, Specialization and Experiential components. The trip is a key vehicle for delivering the program’s objective of cultivating and refining a worldly mindset among our MBA constituents. As part of this trip, Caroline spoke to the MBA students on the topic of “The Ins and Outs of Doing Business in Singapore and South East Asia – a legal insider’s perspective”. There were also various networking events organized for the students and the McGill Alumni in Singapore, including a cocktail evening held at the High Commission of Canada. Below is a photo of Caroline with the students after her presentation earlier this week. HJM and Caroline pride themselves in giving back to the community. To do, Caroline was a guest speaker at the International School of Asia, Karuizawa (ISAK). ISAK is a fully residential, 3-year international high school located in Karuizawa, Japan. Caroline got to visit the school and talk to the students about her professional, entrepreneurship and her personal journey. She talked about becoming a lawyer, overcoming challenges of opening her firm in China and her passion for her career. Caroline loves talking to the younger generation and hopefully inspiring some of them to pursue a career in law. ISAK is set up by another Young Global Leader. Caroline Berube attended a AM&AA conference in Florida this January. AM&AA is the premiere International Organization serving the educational and resource needs of the middle market M&A profession (website: http://www.amaaonline.com/). Caroline attended her first conference as a speaker at the “Cross Border M&A Roundtable: An International Update On Deal Making Abroad” session where she lead the group discussion on recent trends in international mergers & acquisitions and addressed questions such as challenges and best business practices with cross-border M&A, expectations around pricing, structure, value creation and post-merger integration, triggers for cross border M&A among other topics. Caroline has extensive experience with mergers & acquisitions in Asia and enjoyed sharing her expertise with the sessions’ participants. Are Technology transfers possible in Asia?- LLM Sorbonne-Assas Law School Singapore Campus students will find out on November 24th and 25th, 2015 by discussing different aspects of IP in Asia, restrictions, rights and pitfalls to avoid when dealing with technology transfers, licensing, trademarks, patents, copyrights in Asia from a corporate perspective. Caroline will highlight practical aspects of dealing with these topics in the Asia Pac region and is excited to be back in the classroom at Sorbonne. The American Bar Association (ABA) organised the conference on various aspects of IP rights in Beijing conference on November 16th and 17th, 2015. Caroline Berube was on the organizing committee and HJM Asia Law was a proud sponsor of this 2015 Asia Intellectual Property Forum focusing on the hot Intellectual Property issues when representing clients in Asia and touching upon five hot topics in Asia: Antitrust, Dispute Resolution, Intellectual Property, Legal Ethics/Compliance and Outbound Investments. In October Caroline Berube attended the International Bar Association (IBA) Annual Conference in Vienna. She was involved with several sessions this year- “Around the tables – breakfast and a taste of hot topics in the Intellectual Property, Communications and Technology Section” where she moderated the “Open and closed source licensing; share and share alike” table and the “Supply chain management challenges” session where Caroline was a speaker and covered the Asia Pacific region. Additionally, Caroline was a moderator of the “Plagues! From the Black Death to Ebola” session supported by the Asia Pacific Forum. D.Social media role in recruiting and termination process. Caroline Berube was a guest speaker at the Kane County Bar Association’s (KCBA) monthly committee meeting. Caroline presented on “Pitfalls in Commercial Contracts and IP risks in China and other Asian jurisdictions.” Established in 1858, KCBA is a professional legal organization with membership of over 1200 attorneys, judges, paralegals and students. Caroline discussed topics such as assessing a distributor or manufacturer, key terms in sales and purchase agreements, distribution agreements and NDAs, how to get paid by your Asian clients and protection of IP in Asia. HJM Asia Law is an active member of the International Business Law Consortium (IBLC). Caroline Berube participated in the IBLC Business Meeting which took place in Chicago this year. Caroline made a presentation on the latest developments in mediation in China and Singapore to the attendees in addition to attending daily meetings. You can view the meeting information here. For the second year in a row, Caroline Berube was a speaker at the « Regional Employment Law Asia Masterclass » which took place in Singapore. Caroline lead the session titled « Employment Issues and Legislative Changes in China » which included topics such as recent legal developments in PRC, understanding collective labour actions, common mistakes in failing to enact company rules and policies, handling of termination under the law, labour dispute resolutions, notable case studies, HR policies and engaging unions and industrial relations. Caroline Berube attended the Primerus 2014 Global Conference which took place in Monterey. Caroline represented the Primerus Business Law Institute – Asia Pacific (PBLI-AP) at the conference and was a moderator during the International Session which was attended by other international members from the Europe, Middle East & Africa and Latin America & Carribean institutes . Caroline’s term as the newest chair of the Primerus Business Law Institute – Asia Pacific (PBLI-AP) commenced at the conference. Additionally, Caroline joined the new Cross Border Development Committee and attended the first meeting which took place in San Francisco ahead of the conference. HJM Asia’s Managing Partner, Caroline Berube, was the key speaker at the “Doing Business in China” event organised by the Banque Martin Maurel, a privately owned French bank. Banque Martin Maurel was established in Marseille, France, which is where Caroline gave the original presentation back in February 2014 as part of its speakers’ series organized in joint forces with the internationally renowned sculpture Bernar Venet (who’s sculptures are displayed at Villa Marveyre, Marseille). Banque Martin Maurel wanted to extend a similar opportunity to their clients in Paris which is where the second event took place last week. You can find out more information about the conference on the conference website (www.wisconsintradeconference.org). Additionally, the complete conference agenda can be found here and biographies all of the speakers can be found here. Last week Caroline Berube, managing partner of HJM Asia Law, attended the Inter-Pacific Bar Association (IPBA) 24th Annual Meeting & Conference in Vancouver. This was Caroline’s last conference as the IPBA Publications Committee Chair where she handed off the responsibilities to Maxine Chiang, formerly a Vice-Chair of the Committee. Additionally, Caroline was a speaker at two sessions: “CBIC Session: The Asian-Canadian-Latin American Investment Triangle” which took place on May 9th and “Sustainability of Women in the Legal Profession” which took place on May 10th. You can view more information about the conference here. This week, Caroline Berube was a speaker at the “Regional Employment Law Asia Masterclass” which took place in Singapore. Caroline lead the session titled “Employment Issues and Legislative Changes in China” which included topics such as recent legal developments in PRC, understanding collective labour actions, common mistakes in failing to enact company rules and policies, handling of termination under the law, labour dispute resolutions, notable case studies, HR policies and engaging unions and industrial relations. You can view the complete program here. Last Friday the managing partner of HJM Asia Law, Caroline Berube, spoke to LLM students at the Sorbonne-ASSAS International Law School about her experiences as a lawyer. She covered topics such as her background- studies, admission, languages and extra curricular activities; type of work HJM Asia Law does in China and South East Asia; our niche and industries; and of course her passion for law. Caroline is a firm believer in passing on the knowledge to the younger generation and was honoured to be a guest speaker at the event. Caroline Berube is one of the guest speakers at the International Women’s Day event organized by the Alliance Française de Singapour. 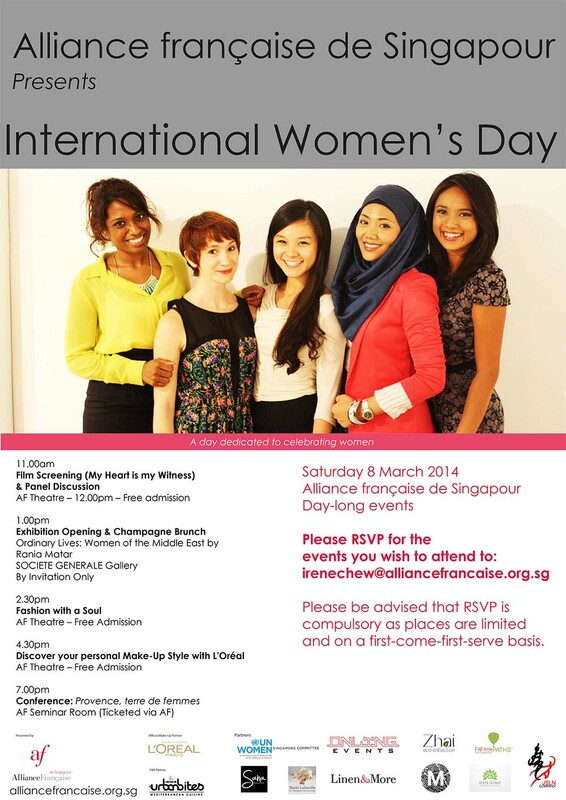 The Alliance française de Singapour is organizing a series of events in celebration of International Women’s Day – starting with a film screening of My Heart is My Witness, followed by a panel discussion (organised in collaboration with Singapore Committee for UN Women); champagne brunch exhibition opening of Ordinary Lives, Women of the Middle East. ; an eco-fashion presentation; make-over and styling; and a conference on the gastronomy of Provence to close the day’s events. Caroline Berube will participate in the panel discussion. You can view the event poster here. Caroline Berube is participating in the panel and leading the discussion at the Primerus Asia Pacific Regional Meeting in Shanghai. She is a moderator of the session titled “Cross Border Contract Pitfalls: Management and Prevention” as well as a representative of the Primerus Asia Pacific Executive Committee. You can view the complete meeting agenda here. Caroline Berube is a guest speaker for one of the classes at the NUS Business School and will be speaking on the subject of Outsourcing in China and Contract and IP Protection. The class is taught by Prof. Neale O’Connor who is the Visiting Associate Professor, Accounting at NUS. During this session, Caroline will speak to students about the legal environment, contracts, IP, dispute resolutions and HR issues in China. HJM Asia Managing Partner, Caroline Berube, is the key speaker at the “Doing Business in China” event organised by the Banque Martin Maurel, a privately owned French bank. As Marseille was voted the European Capital of Culture in 2013, Banque Martin Maurel has joined forces with the internationally renowned sculpture Bernar Venet (who’s sculptures are displayed at Villa Marveyre) to organize a speaker series, including the one on “Doing Business in China”, for its clients and business partners at the beautiful Villa Marveyre. You can view the invitation to the event here: Banque Martin Maurel, Doing Business in China invitation (in French). This week Caroline Berube is speaking at the IBA conference titled “The Fundamentals of International Legal Business Practice Changing Times: Legal Trends in the Asia Pacific Region” in Seoul, Korea. Caroline is speaking at the “Cross-border M&A in Asia” session where she will elaborate on China’s foreign investment, trends around due diligence, development of shareholder activism and other related topics. The conference aims to provide young Korean lawyers with practical training on a range of international business practice issues. The conference is organized by the IBA Young Lawyers’ Committee (YLC) and Asia Pacific Regional Forum (APF) and the Korean Bar Association (KBA). The complete programme can be viewed here: Seoul Young Lawyers 2013 programme. Caroline Berube will be a speaker for the session titled “Evolving Intellectual Property Rights and Protections” which is taking place from 3pm-3:45pm on Monday, November 18th in Singapore. POPAI is an international trade association for the marketing at retail industry and is preparing to celebrate its 77th anniversary with over 1,400 member companies representing Fortune 500 brand manufacturers and retailers. You can find out more about the POPAI association and the event here: http://popai.com/SMIA/. This week Caroline Berube is attending the IBA-JFBA joint conference in Tokyo, Japan. Caroline was a speaker at the Plenary Session One on the topic of “Strategy and planning: considerations and issues involving cross-border legal services in Asia.” Caroline talked about challenges and issues faced by law firms involved in cross-border legal services in Asia from a boutique law firm perspective. She also talked about globalization and how it affects boutique law firms in Asia. You can view the complete conference programme here. Caroline Berube is hosting a colloquim for the Milan Chamber of Arbitration on “Arbitration in China”. The Colloquium of today deals with the latest development in arbitration in China with the aim of setting a bridge on the legal and cultural sides of doing business in China. You can view further event information here: colloquium_china_program. HJM Asia Law Managing Partner, Caroline Berube, will join a panel discussion on “Everything you wanted to know about Business in Asia Pacific that you will not find on Google.” Caroline will provide her insights on the China perspective along with other selected members and colleagues who will share their view from their respective regions. 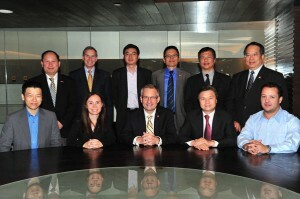 Additionally, Caroline organized a “Client Visit Tour” to mainland China on Tuesday, October 22nd. Alliott Group members will visit factories of EXFO, Herrenknecht and Komaspec. You can view the Alliott Group press release here. Caroline Berube is delighted to attend the Interlegal Assembly where she, as the chair of the corporate specialist group, will organise a panel discussion on corporate issues. Five panellists selected from Interlegal members and from different jurisdiction will discuss their views and perspective on hot topic in corporate law going on in their respective jurisdictions. International Bar Association will hold its Annual Conference in Boston in October. Caroline Berube, as an officer of the Asia-Pacific Regional Forum and the Intellectual Property and Entertainment Law Committee, will co-chair two sessions namely- “Intellectual property rights concerns upon importation session” and “Getting from Point A to Point B: supply chain logistics and agreements session.” More information can be found on the IBA Boston website. HJM Asia Law Managing Partner, Caroline Berube, will join a panel discussion on “Attorney Fees and Alternative Fee Arrangements.” Caroline will provide her insights on China and the Asian markets perspective along with other selected members and colleagues who will share their view from their respective regions. Please find additional information on the IBLC website. Caroline Berube will speak on the following topic: “Singapore: a legal and tax platform for your business in Asia” for the Bar Commission of Paris and provide her insight on the legal system in Singapore. This week, HJM Asia Law will be in Montreal to present a talk on the legal comparisons between Hong Kong and China when it comes to doing business. Managing Partner, Caroline Berube, attends as the key speaker to discuss various aspects of business, such as intellectual property protection, dispute resolution and employment matters. Mr. Francis HE, Consul and Chief of the Economic & Commercial Section of the Consulate General of People’s Republic of China in Montreal, will also be present to briefly address the attendees. Information on the event can be found at the following links: HKCBA event and Post HKCBA event and , as well as on the HKCBA website: http://montreal.hkcba.com/. 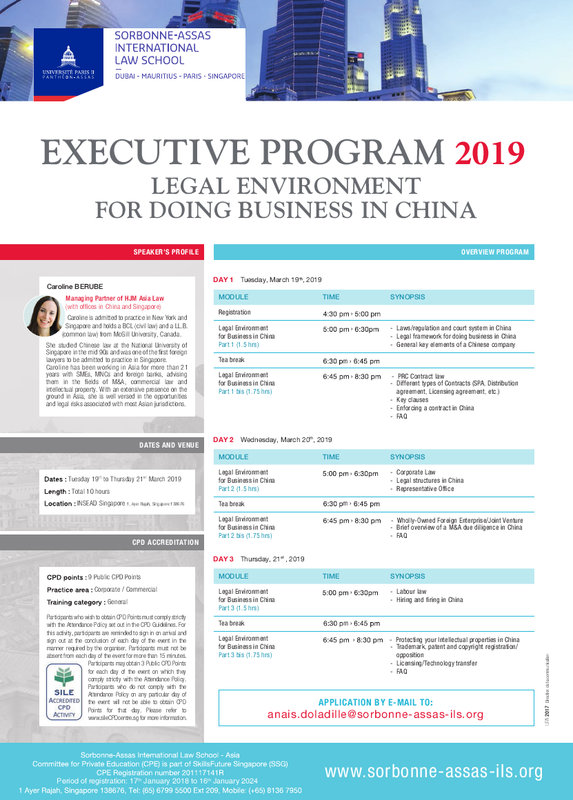 On April 10th, HJM Asia Law Managing Partner, Caroline Berube, will attend as a guest speaker for a McGill University course on doing business in Asia. Attending as an expert with extensive legal knowledge in Asian markets, Caroline will share her views and outlook of the business, labor and legal environments in China. HJM Asia Law is pleased to announce an upcoming morning session on conducting business safely in China with CASI (Coopérative d’achats stratégiques région de Montréal). Managing Partner, Caroline Berube, will discuss the importance of having the right knowledge and understanding of the Chinese business and legal landscapes. Other topics such as knowing who your business partners are, and whether intellectual property is respected in China will also be covered. More information about CASI is available at: http://www.coopcasi.com/main+en+01_100+Home.html. We are pleased to announce HJM Asia Managing Partner Caroline Berube’s attendance as guest speaker at an upcoming SMU Asia Pacific Business course on Feburary 18th, 2013. During this session, Caroline will speak to students about the legal environment regarding contracts, IP, dispute resolutations and HR issues in China. Additional information about the course is available at: (http://researchguides.smu.edu.sg/mgmt312_linda_low). Reliance on Chinese suppliers has increased as companies continue to grow their Asian operations. SME business leaders in this region have the responsibility for ensuring operational growth and maintaining supplier relationships in the complex Chinese business environment. Hosted by the Italian Chamber of Commerce in Guangzhou, HJM Asia & Cajola Managing Partner, Caroline Berube, will provide expert insights on optimizing results with Chinese suppliers, practical legal advice when preparing POs/contracts, discuss various issues to consider and how to protect your intellectual property rights. We invite you to find more information at: (http://www.cameraitacina.com/index.php?nav0=125&viewevent=1097). As part of the upcoming International Business Law Consortium (IBLC) meeting in Paris from March 14th to 17th, HJM Asia Law Managing Partner, Caroline Berube, will join a panel discussion with the Corporate/M&A Group on Corporate Governance, focusing on the need for more women in boardrooms and the possible ways to get there. Caroline will provide her insights on the Asian perspective along with other selected members and colleagues who will share their view from their respective regions. Please find additional information at the IBLC website. HJM Asia Managing Partner, Caroline Berube, is a confirmed speaker for an upcoming session hosted by the Quebec-Asia Law and Business Association (AQADA/QALBA). AQADA is an exclusive network in Quebec that provides an opportunity for young business and legal professionals to share ideas and experiences with renowned leaders and experts from Asia. 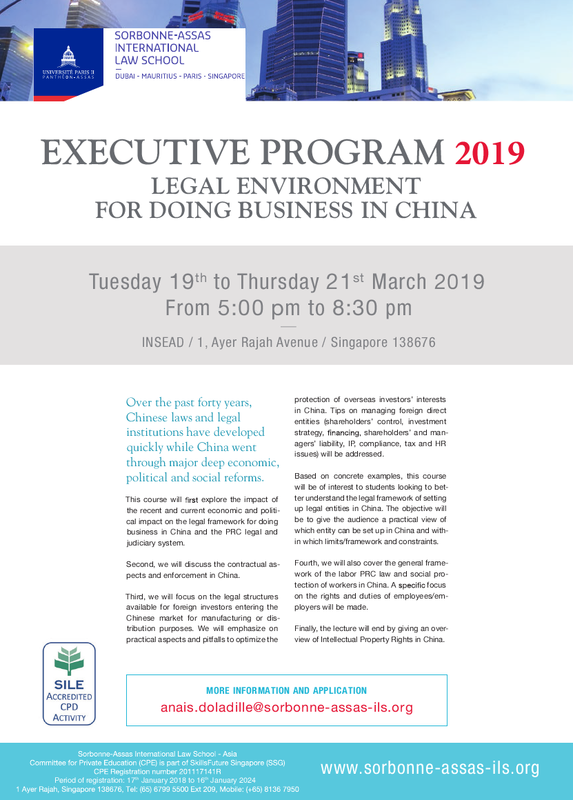 At this event, Ms. Berube will discuss the practice of Business Law in Singapore from the perspective of young professionals interested in working in Asia. More information is available at their website: http://www.qalba-aqada.org. HJM Asia Managing Partner, Caroline Berube, is scheduled to present a talk at the Montreal Chamber of Commerce (CCMM), a hot topic for enterprises interested in expanding into China – Ensuring that you get paid by your clients in China. Caroline will share her practical and legal advice to equip you with knowledge on how to defend your business’ rights when you enter an agreement with a Chinese business partner. Please find additional information on the event via the CCMM’s training calendar: http://www.btmm.qc.ca/en/formation. The legal and commercial aspects of Singapore. HJM Asia Managing Partner, Caroline Berube, recently organized a presentation for the International Services Team at Desjardins in Montreal, providing an introduction to our firm and closing with a case study, referring to one of our clients as a successful business model for expanding into Asia. The meeting with Desjardins was an excellent opportunity to showcase our firm’s expertise and illustrate some of the advantages clients gain from choosing HJM Asia Law as their partner to meet their business needs in Asia. Please find the powerpoint presentation here. HJM Asia Managing Partner Caroline Berube will co-chair a discussion on “Business law: Investment Strategies of Asian State Owned Enterprises and Multinationals – Challenges and Pitfalls when Implementing Investment Decisions” at the Third Regional Conference of the Internal Bar Association Asia Pacific Forum. HJM Asia Managing Partner Caroline Berube will present the topic “Buying big things – acquiring and financing complex capital equipment” on behalf of the IBA Asia Pacific Forum at the Annual Conference of the International Bar Association. HJM Asia Managing Partner, Caroline Berube, will participate in an interesting roundtable discussion at McGill University with students from Desautels Faculty of Management and the Faculty of Law. Caroline will discuss important considerations when doing business in China, examining scenarios from legal and business perspectives. HJM Asia Managing Partner, Caroline Berube, will be giving a talk in Montreal, Canada, on the legal and commercial aspects of dealing with a customer, supplier or distributor in China. HJM Asia Managing Partner Caroline Berube will be speaking on “Importing Goods into your Country” and “Significant thing that happened to your firm during the last year” at the Alliott Group Asia Pacific Regional Conference and will also facilitate the session “Focus on China”. HJM Asia was proud to host the International Business Law Consortium meeting held over three days in Guangzhou. Delegates were taken on a factory tour visiting three facilities located in Huadu district on the outskirts of the city, where they witnessed firsthand the manufacturing process in China. Delegates also attended a seminar, chaired by Managing Partner Caroline Berube, which focused on the unique aspects and challenges of doing business in China. HJM Asia Associate Brad Alexander spoke at a conference organized by the China – Italy Chamber of Commerce on the “Influences of tax and labour law in your business structure: recent and upcoming changes in China.” Brad touched on the Shanghai Pilot VAT Reform Program and discussed how the new Social Insurance Law will affect foreigners working in China. At the recent Annual General Meeting of the Inter Pacific Bar Association, HJM Asia Managing Partner Caroline Berube has been appointed as the Chair of the IPBA Publications Committee. Also at the AGM, Caroline spoke on “China’s approach to FTA’s with Islamic countries and Islamic Financing” and “FTA’s in Asia – A Trade Perspective” and HJM Asia Law Associate Brad Alexander discussed “Resolution of Trade Secret Disputes” from a China perspective. HJM Asia Managing Partner Caroline Berube will be speaking at an event organized by the Canadian Chamber of Commerce in Hong Kong. HJM Asia Managing Partner Caroline Berube will be speaking at a conference organized by Marcus Evans on “Doing business in China”. Caroline will be touching on the uniqueness of the Chinese market, organizations and social structure, how does the geography of China impact on the pricing of raw material and final products, cross-cultural management issues, the real meaning of “guangxi”, how to know about your Chinese partners, hints on how to gain bargaining power, negotiation skills to have when dealing with Chinese businessman, pitfalls to avoid when doing business in China, corporate structure in China, how to get paid by your Chinese clients, key clauses to protect you when purchasing goods in China, to be successful in human resources, practical ways to protect your intellectual property rights and case studies in this two (2) days conference! HJM Asia Managing Partner Caroline Berube, as an officer of the Asia Pacific Regional Forum, will co-chair the talk on “Overcoming barriers to sales into exciting markets: Iraq, the U.A.E., India and China” organized by the International Bar Association during the Annual Conference. This session will explore the legal problems, hurdles and issues on a comparative basis and assessment of the relative strengths of each market. HJM Asia Associate Bradley Alexander spoke at the Professionalism Course for experienced actuaries organized by the Singapore Actuarial Society. HJM Asia Associate Bradley Alexander presented the topic on “Are IP rights a myth or a reality in China – how to protect your trademark and patent” organized by the International Enterprise Singapore. Bradley covered practical ways to protect trademarks, domains, patents and copyrights with a focus on the provinces in Central China such as Anhui, Henan, Hubei and Hunan. HJM Asia Managing Partner Caroline Berube was conducting a workshop on “How to get paid by your PRC clients” organized by the Board of Trade of Metropolitan Montréal. Caroline shared her business and legal experience on doing business in China by maximizing the benefits while minimizing the risks and getting paid by Chinese clients. HJM Asia Managing Partner Caroline Berube was invited for the second year to teach a forty-five (45) hour course on Chinese Law at University Laval. 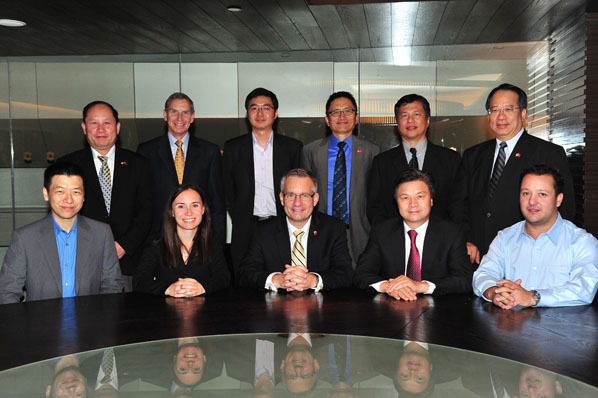 The Honourable Ed Fast, Minister of International Trade and Minister for the Asia-Pacific Gateway, with participants at the Canadian small and medium-sized enterprises round table in Guangzhou. HJM Asia Associate Eric Barrieu was a speaker together with Kevin Wennekes, Gabriel Lee and Chris Liu at the Invest in Canada Hi-tech Industry Conference organized by the Canadian Advanced Technology Alliance on the legal issues to pay attention to when investing in Canada. Eric focused on the issues relating to the legal system, intellectual property and employment in Canada. HJM Asia & Cajola Managing Partner Caroline Berube was speaking at the Missione Padova Promex organized by the Italian Chamber of Commerce in Singapore on practical aspects of doing business in Singapore in relation to taxes, labour, corporate and IP. HJM Asia Managing Partner Caroline Berube as an officer of the Asia Pacific Forum of the International Bar Association co-organized the Asia Pacific Energy Breakfast during the joint AMPLA / IBA Resources and Energy Law Conference in South East Asia. For more information of AMPLA. HJM Asia Managing Partner Caroline Berube was one of the speakers at the conference on “China: market entry, distribution & franchising” organized by the SFIC Institute. Caroline talked on how to set up business in China and also the important elements of IP Law when setting up distribution channels and franchises in China. Other guest speakers were Ms. Ong Lay Bin, Senior Consultant of O&L Consultancy Services Pte Ltd and Mr. Tony Lin, President of Eurosa Furniture Co Pte Ltd.
HJM Asia Managing Partner Caroline Berube was one of the speakers at the conference “Discover the emerging economies of the Southeast Asian nations (Asean)” organized by the Board of Trade of Metropolitan Montréal. Caroline shared her business and legal views on business opportunities in Singapore and Malaysia. HJM Asia Managing Partner Caroline Berube was speaking at a luncheon organized by the Canadian Chamber of Commerce in Hong Kong on the practical and legal ways to get paid by Chinese clients. 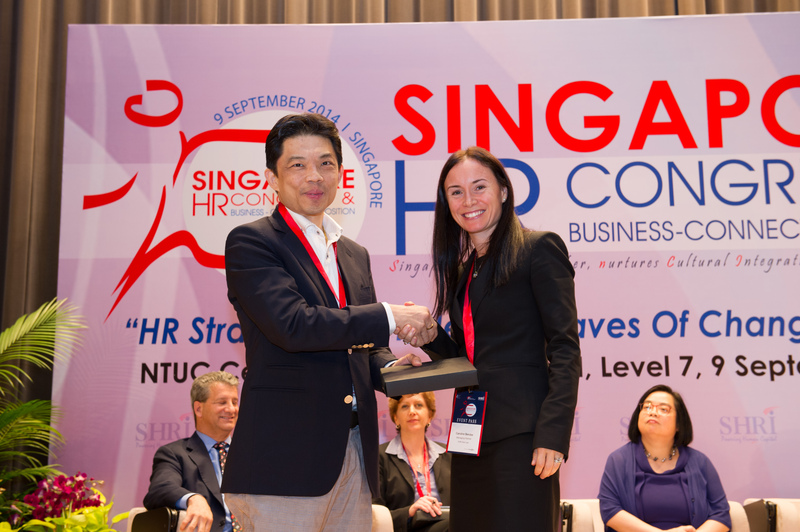 HJM Asia Managing Partner Caroline Berube, as advisory counsel of the Alliot Group, was one of the speakers to the Alliott Group members during their Annual Conference held in Singapore. Caroline talked on how to do business in China, Singapore and Vietnam. HJM Asia Managing Partner Caroline Berube was speaking at a luncheon organized by the Cooperative d’Achats Stratégiques Industriels on “How to purchase in China and protect yourself and your technology”. HJM Asia Managing Partner Caroline Berube was speaking to one of the largest Canadian venture capital firm about the pitfalls on doing business in China and how to take advantage of the Chinese market and sell in China while protecting IP interests. HJM Asia Managing Partner Caroline Berube was a co-chair at the conference on “Trade-related developments in the Pacific Rim” organized by the Asia Pacific Forum and the International Trade Committee, part of the International Bar Association. HJM Asia Managing Partner Caroline Berube was speaking at the International Bar Association Annual Meeting at the session on “China in Africa”. HJM Asia Managing Partner Caroline Berube, a graduate from McGill Law School, gave a talk at the Faculty of Law of McGill University to the students on the legal structures and pitfalls when doing business in China and also on life in Asia as a Canadian lawyer. Our firm strongly believes in informing law students about the different opportunities they have in various parts of the world. HJM Asia Managing Partner Caroline Berube was a speaker at the Legal Roundtable event organized by the German Chamber of Commerce in China. 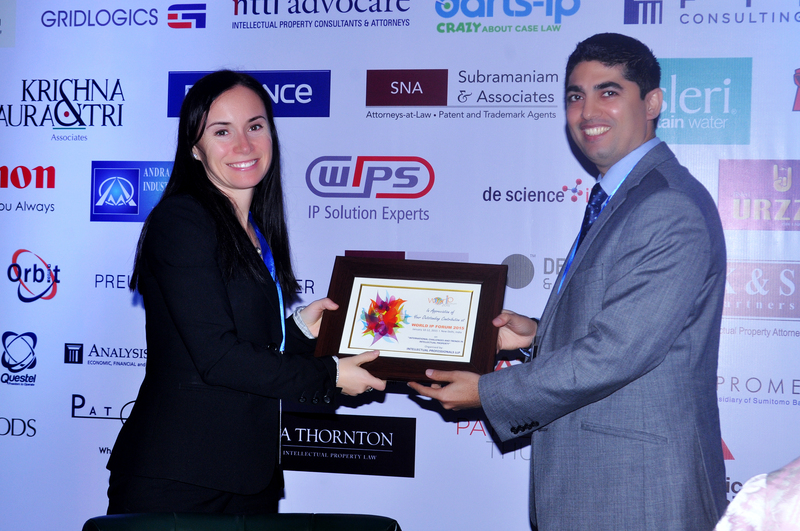 HJM Asia Managing Partner Caroline Berube was a speaker on “IP Law in China – how to protect yourself in practice?”. The event was organized by the Montréal Chamber of Commerce. HJM Asia Managing Partner Caroline Berube gave an informative talk to a group of business students led by leading Professor Pierre Toth from the HEC, University of Montréal, on “How to structure a business in China”. HJM Asia & Cajola Partners Riccardo Cajola and Caroline Berube were two of the panelists speaking about “Setting up business in China” at the Italian Pavilion of the Shanghai Expo together with 12 other lawyers from Italy during the “Roundtable on foreign investments in Italy: legal aspects”. HJM Asia Managing Partner Caroline Berube was a speaker at the one day conference organized by the Board of Trade of Metropolitan Montréal on “How to set up your company in China”. For more information, please click here. HJM Asia & Cajola Partners Riccardo Cajola and Caroline Berube were the speakers at a conference organized by ANIE on “How to structure business from a legal and tax perspective in China?”. ANIE Federation represents the electrotechnical and electronic companies operating in Italy. HJM Asia Managing Partner Caroline Berube was a speaker at the IP Committee Session during the Inter-Pacific Bar Association (IPBA) Annual Conference. The panel discussed on “Case study of the impact of updated IP laws on IP litigation in China”. HJM Asia Managing Partner Caroline Berube was one of the associate social event sponsors for the 4th World Women Lawyers Conference, which was held at the Grand Connaught Rooms, London, England. The conference was organized by the IBA Women Lawyers Interest Group (WIG) and supported by the IBA European Regional Forum. HJM Asia Managing Partner Caroline Berube was speaking at a conference organized by the Board of Trade of Metropolitan Montréal on “Practical aspects of intellectual property in China”. HJM Asia Managing Partner Caroline Berube was a speaker at a conference organized by the Faculty of Law of Laval University on “Commercial agreements and the analysis of three types of legal structure in China”. HJM Asia Managing Partner Caroline Berube was a speaker at a dinner organized by INSEAD Hamburg, Harvard Club Hamburg and Brödermann & Jahn Rechtsanwaltsgesellschaft mbH. Caroline spoke on the topics “Pitfalls to avoid when doing business in China”, “Are contracts enforceable in China?” and “How to protect your IP rights in China?” For more information, please click on www.hjmbroedermann.com. HJM Asia Managing Partner Caroline Berube was a speaker at a Luncheon organized by Brödermann & Jahn Rechtsanwaltsgesellschaft mbH on the topic of “Pitfalls to avoid when doing business in China”. For more information, please visit: www.hjmbroedermann.com. HJM Asia Managing Partner Caroline Berube was a speaker at a conference organised by the Banque Martin Maurel on “How to set up a company in Singapore and China”. HJM Asia Managing Partner Caroline Berube was a speaker at a conference on “The Rules and statutory regulations concerning the ‘Made In’ product labelling in various jurisdictions (EU, China, Italy, Middle East and the USA)” organised by the International Business Law Consortium, Cajola & Associates and the National Organisation of Electric and Electronic Products. HJM Asia Managing Partner Caroline Berube was a speaker at a conference organized by Robic, a Canadian law firm on “Are IP law a myth in China”. HJM Asia Managing Partner Caroline Berube was a speaker at a conference organized by the faculty of law of the University of Montréal on “How to build a legal practice in Asia as a woman”. HJM Asia Managing Partner Caroline Berube was a speaker at a conference organized by the Montréal Chamber of Commerce on “How to protect your IP rights in China”. HJM Asia Managing Partner Caroline Berube was a speaker at a conference organized by the National Association of Young Entrepreneurs on “The pitfalls and solutions when doing business in China”. HJM Asia Managing Partner Caroline Berube was a speaker at a conference organized by Robic, a Canadian law firm on “Commercial vehicles for doing business in China”. HJM Asia Managing Partner Caroline Berube was a speaker at a breakfast talk organized by the Women in Business. The discussion focused on how professional women need to do careful self marketing by looking for board directorships or other opportunities within associations. For more information, please click here. HJM Asia Managing Partner Caroline Berube was a speaker at a conference organized by the Asia Business Forum (China Law Group) on “M&A in China with a focus on energy projects”. HJM Asia Managing Partner Caroline Berube was a speaker at a conference organized by the Board of Trade of Metropolitan Montréal on “What are the practical ways to deal with trademarks and patents infringements in China”. HJM Asia Managing Partner Caroline Berube was a speaker at a conference organized by Ogilvy Renault for their clients on “Doing business in China”. HJM Asia Managing Partner Caroline Berube was a speaker at a conference organized by the Board of Trade of Metropolitan Montréal on “The success stories in China”. HJM Asia Managing Partner Caroline Berube was a speaker at a conference organized by the Business Development Bank of Canada to their clients on “Are we ready to do business in China?”. HJM Asia Managing Partner Caroline Berube was a speaker at a conference organized by the Business Development Bank of Canada to their clients on “How to be profitable in China?”. HJM Asia Managing Partner Caroline Berube was a speaker at a conference organized by the National Bank of Canada and Standard Chartered New York on “Which corporate structure to adopt in China?”. 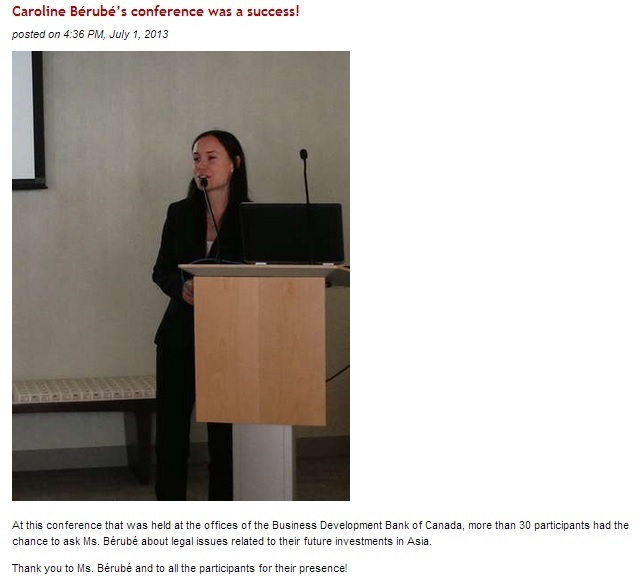 HJM Asia Managing Partner Caroline Berube was a speaker at a conference organized by the Business Development Bank of Canada to their directors’ team on “How to be successful in China?”. HJM Asia Managing Partner Caroline Berube was a speaker at a conference organized by the Team of Subordinated Finance Directors of the Business Development Bank of Canada on “Practical ways to conduct business in China?”. HJM Asia Managing Partner Caroline Berube was a speaker at a conference on “Pitfalls to avoid when doing business in China” organized by Fonds de solidarité.